DRAMATIC BLACK & WHITE STYLE: Alternating black and white drawers are set in black framework creating a dramatic accent for your bedroom. 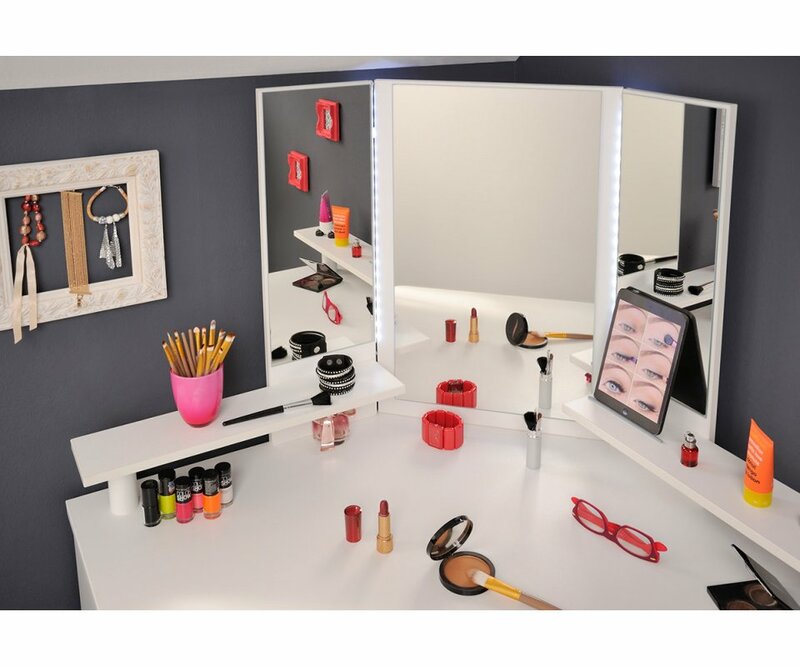 3 PANEL MIRROR: Angled 3-panel lighted mirror is ideal for applying makeup and styling hair. 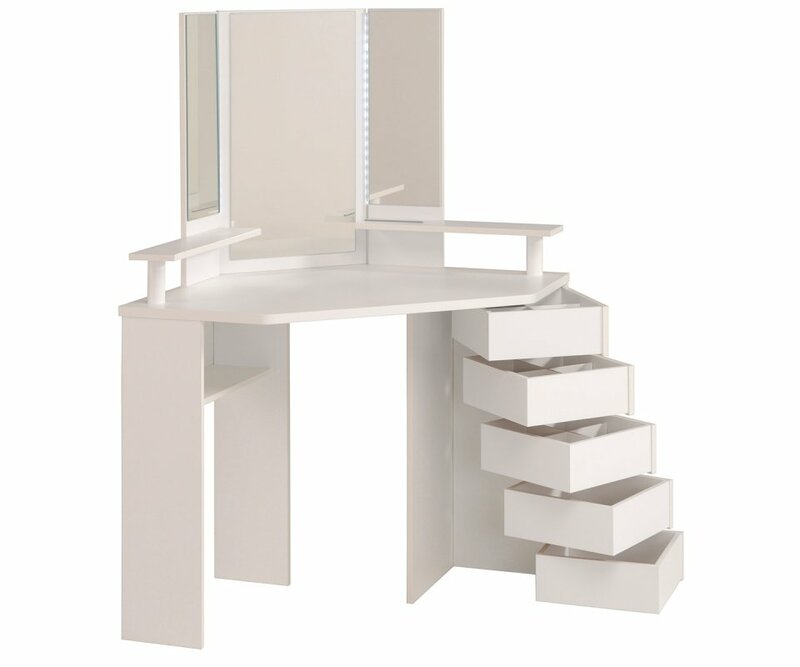 SPACE-SAVING DESIGN: Fits in a corner to give you maximum floor space in your room design. 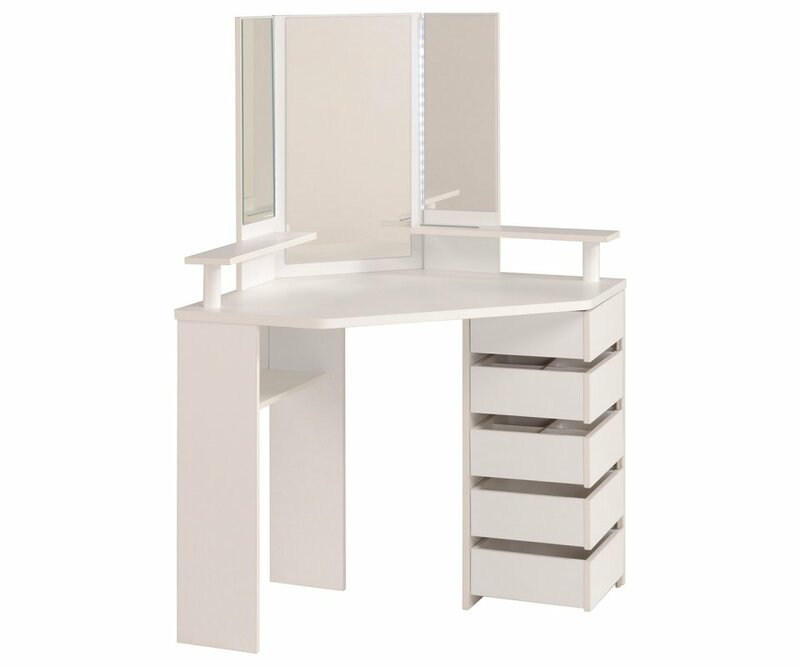 ORGANIZER STORAGE: 5 roomy drawers and table top shelves offer a place for everything and everything in its place! 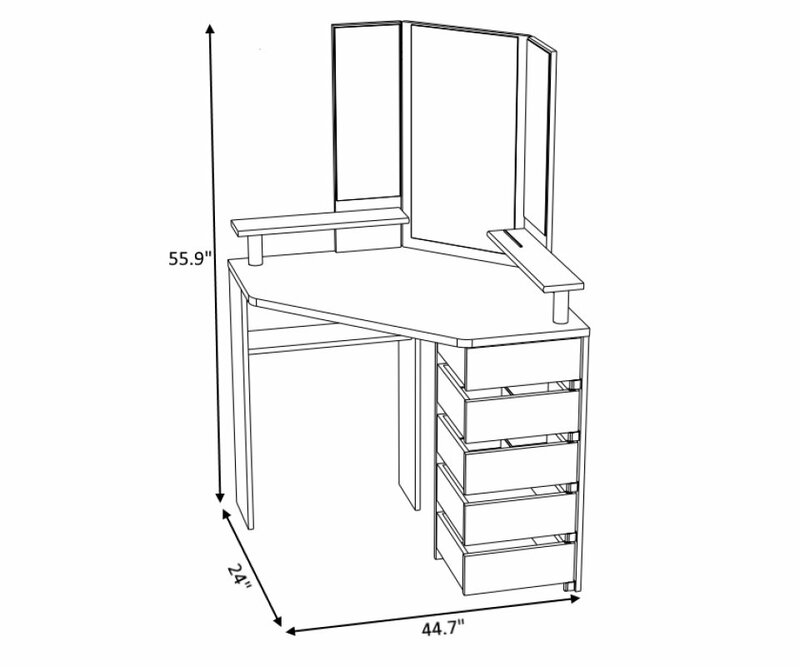 SWIVEL DRAWER DESIGN: Drawers open on swivel hinges for comfortable legroom and easy access to multiple drawers. 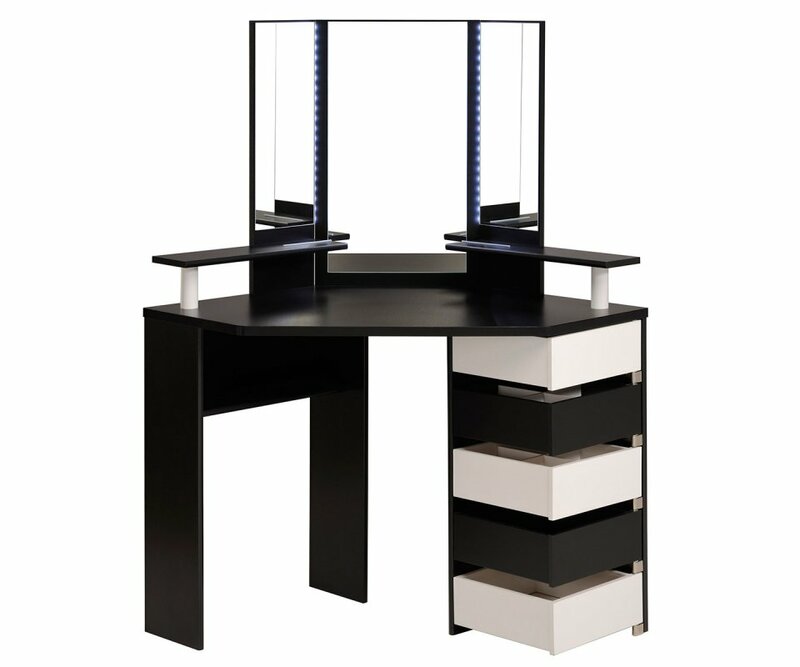 Every woman, from pre-teen to adult, will be wowed by the elegant and functional Volage Makeup Table! The coloring is breathtakingly dramatic, with solid black frame, accented with alternating black and white drawers down the right side. 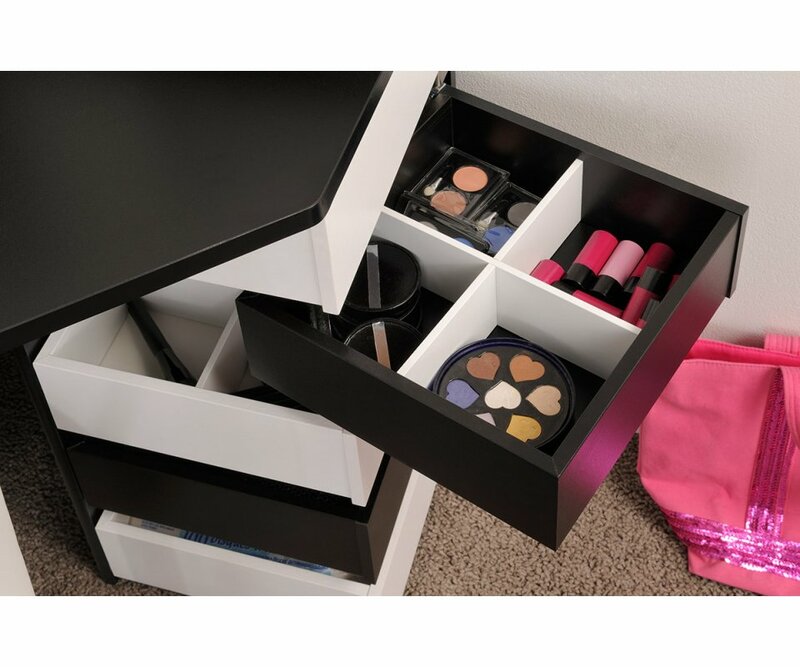 An angled three panel mirror with lights sets the stage for creating the best makeup and hairstyles, and shelves and roomy drawers provide all the storage space anyone could ask for, to organize makeup, hair accessories and supplies, nail polish, and more! 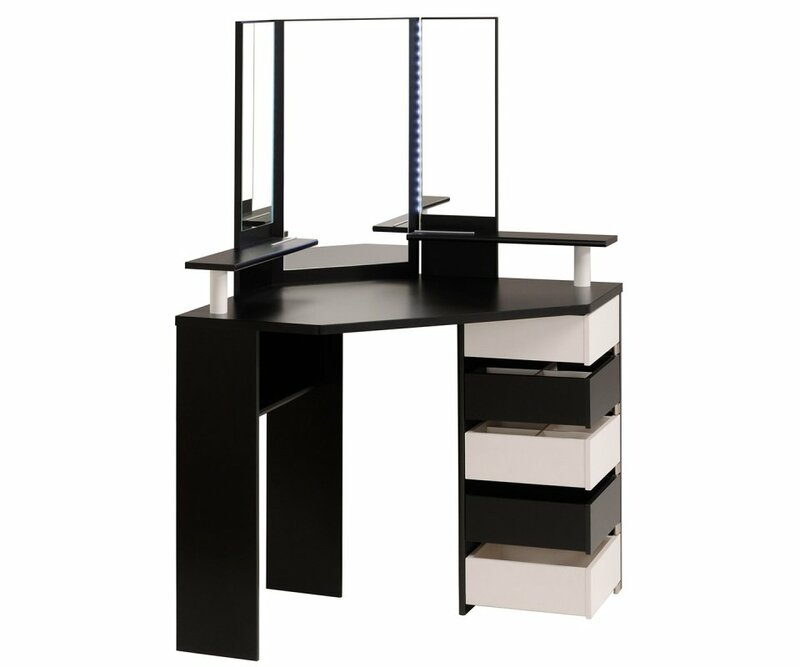 The four drawers even swivel, so multiple drawer contents can be accessed, and you have plenty of legroom under the table. Whether you’re getting this makeup table for your teen diva, or if you have a unique style and flair for the dramatic all your own, you’re going to love this makeup table! 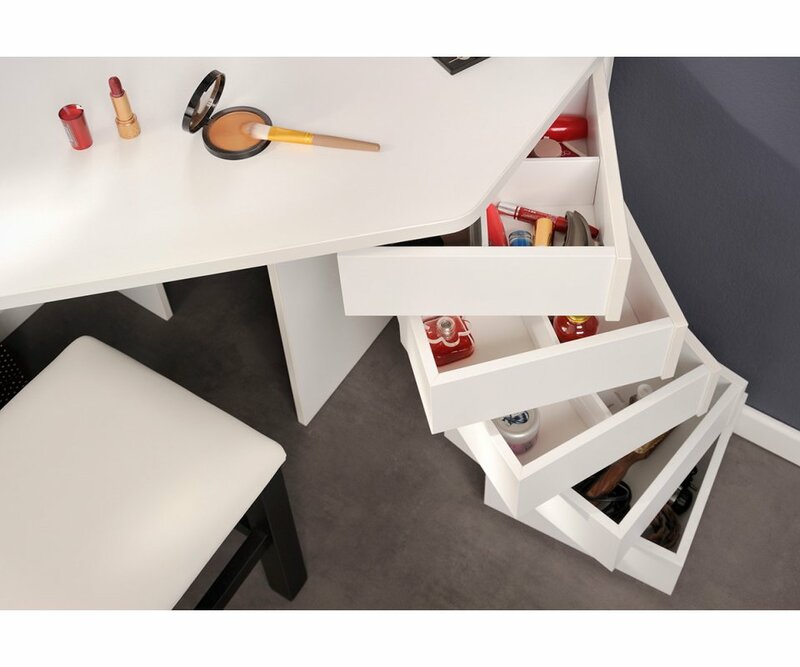 It is designed to fit in a corner, providing even more space-saving features, and allowing you to create a beauty nook in any room! 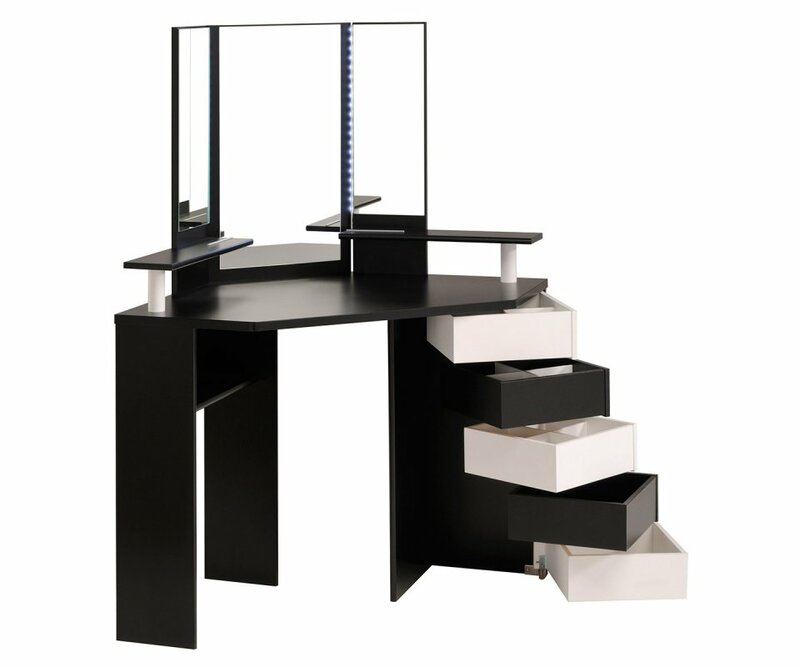 The table is manufactured from top-grade particleboard, covered with premium-quality veneer finish in black and white. It’s sturdy from top to bottom, and resists water ring damage, stains, chips and scratches, so you can look forward to enjoying it for many years to come!